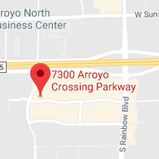 Since 2008, Mai Orthodontics has been your Southwest Las Vegas home for phenomenal orthodontic care done in an environment designed with your comfort in mind. When you come to our office, you are much more than a set of teeth and a procedure. Dr. Kim T. Mai is committed to providing you with high quality care through use of the newest technologies and techniques. He also genuinely cares for your oral health beyond our doors. We will take time to educate you on how to best maintain the brilliant smile we achieve together. Our excellent staff strives to make each visit a pleasant experience through genuine care for the person behind each treatment. You will find your time with us both cozy and smooth. Contact our office in Las Vegas, NV, today to schedule an appointment, and let us help you reach the brilliant and healthy smile you deserve. Serving Las Vegas, Coronado Ranch, and Mountain’s Edge, NV (Nevada) - Dr. Kim Mai is your orthodontic specialist, offering Invisalign®, In-Ovation®, and braces for children, teens, and adults.